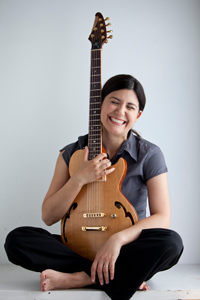 Guitarist, composer and educator Amanda Monaco is the featured artist in the latest installment of Noah Baerman's "Jazz Up Close." Baerman, a pianist, composer, and educator, brings artists to the Hubbard Room of The Russell Library, 123 Broad Street in Middletown where they perform original material and answer questions from the audience. Ms. Monaco, who has been a friend of Mr. Baerman since high school, is the first performer for the "Sound Belief" series music inspired by the artist's religious beliefs and faith. I had the honor of presenting Ms. Monaco's "Pirkei Avot" at Congregation Adath Israel several years ago. The name of the project translates to "Ethics (or Chapters) of the Fathers": the writings, which come from the Mishnah (which can be found in the Talmud), deal with interpersonal relationships and how one is expected to conduct his/her life. 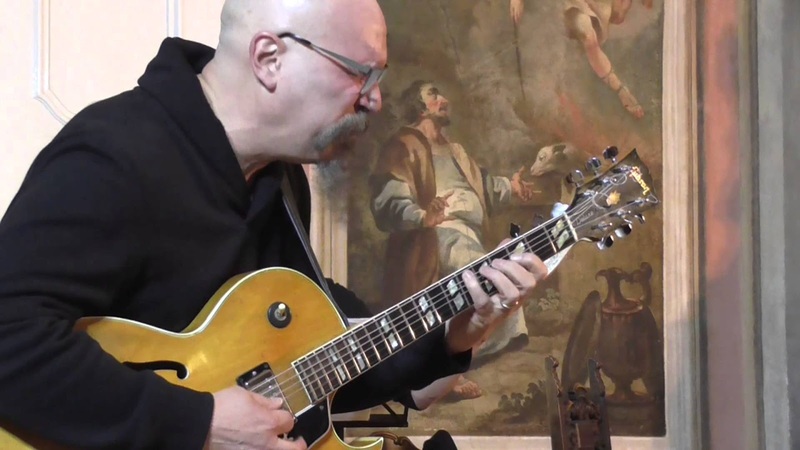 On Thursday May 31, the guitarist and Baerman will be playing newer songs based on the "Pirkei Avot" alongside vocalist Tammy Sheffer, recorder master Daphna Mor, bassist Henry Lugo, and percussionist Rogerio Boccato. The program, free and open to the public, starts at 7 p.m. For more information, go to bit.ly/2IO0hFz. 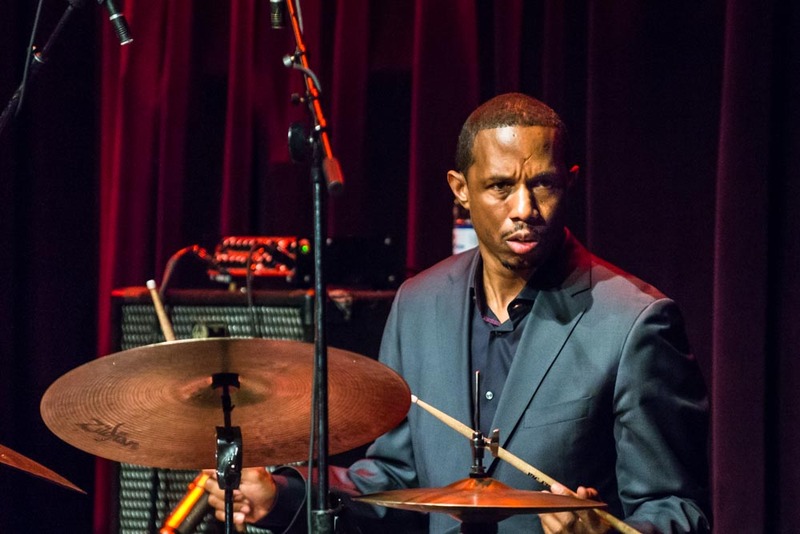 Another busy three-day weekend at The Side Door Jazz Club in Old Lyme kicks off on Friday June with drummer Willie Jones III and his Quintet. Jones III is a native of Los Angeles: he first came to critical attention in Black Note, a group he co-founded in the early 1990s with bassist Marcus Shelby. He went on to work with trumpeters Roy Hargrove and Arturo Sandoval, vibraphonist Milt Jackson, vocalist Kurt Elling, and saxophonist Sonny Rollins (among many others). In 2000, he released his debut album as a leader. Titled "Volume 1...Straight Swingin'", the album came on the drummer's WJ3 label. 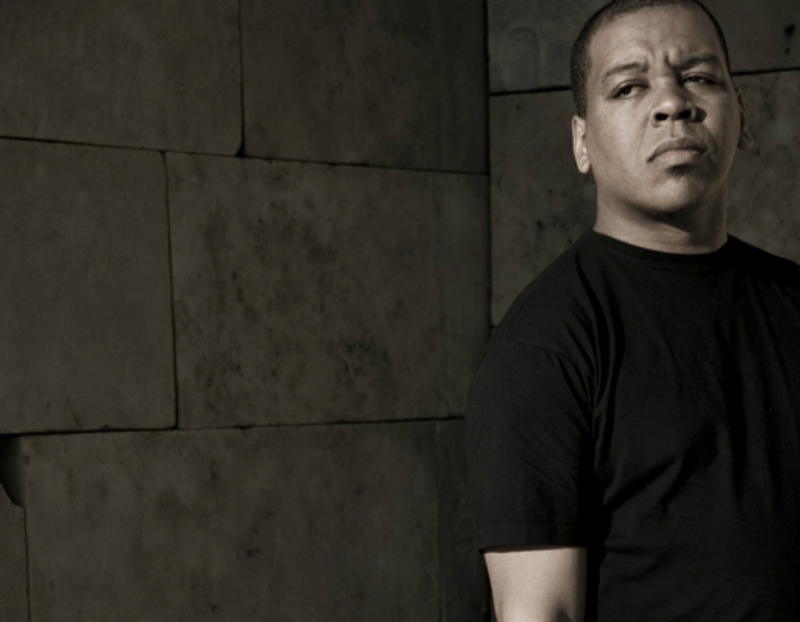 In 2017, Jones III released "My Point Is..." his seventh album as a leader. 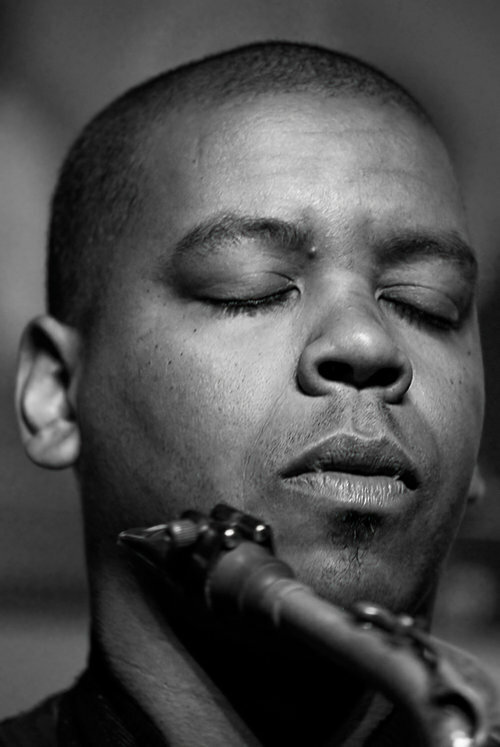 For the Old Lyme gig, he's bringing an impressive group including Stacy Dillard (saxophones), Hartford-native Josh Evans (trumpet), Julius Rodriguez (piano), and Alex Claffy (bass). They'll hit the stage at 8:30 p.m.
To learn more about the drummer, go to www.williejones3.com. 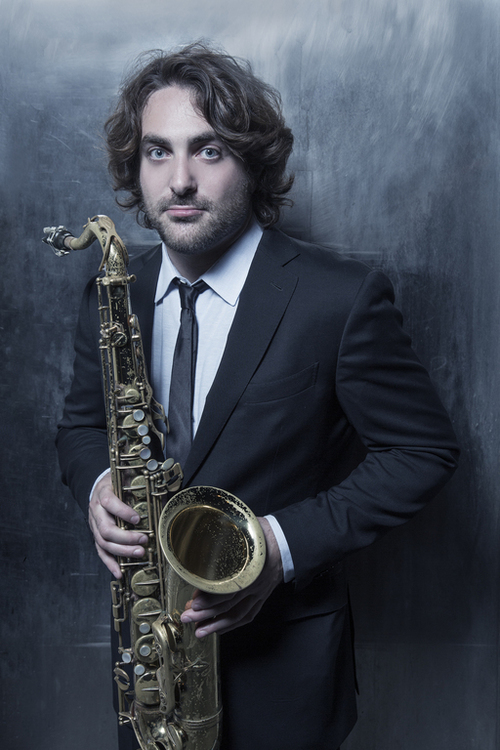 On Saturday, CT native Noah Preminger returns to The Side Door with his Quartet. The ensemble - Preminger (tenor saxophone), Jason Palmer (trumpet), Kim Cass (bass), and Dan Weiss (drums) - is celebrating the release of the saxophonist's first release on the Criss Cross label. "Genuinity" is also the first album that contains all originals composed for a band that has only been together for four years and already has four albums (this is Weiss's first time with the group, replacing drummer Ian Froman). This has been a busy year on the album release side for Preminger. 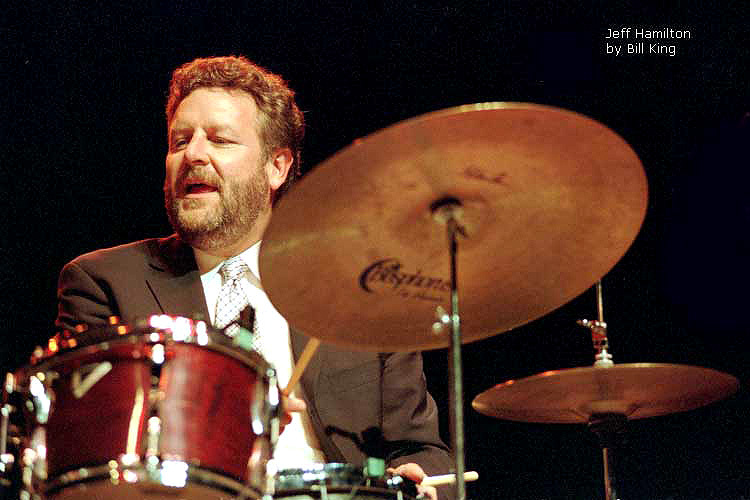 Besides the Criss Cross date, he's also released a duo album with pianist Frank Carlberg on the pianist's Red Piano label and teamed up with bassist Cass, drummer Rob Garcia, and guitarist Nate Radley for an album of music composed by Frederik Chopin (Dead Composers Club is the name of the group he co-leads with Garcia). I reviewed all three albums (read here). The music on "Genuinity" is among the finest that Noah Preminger has produced since he first came onto the contemporary music scene in 2008. What's amazing about the album is that the band had not played the music together before the recording. That says a lot about the intelligence and creativity of the musicians involved. The Quartet has played a number of gigs since the album was issued so the music should be even stronger. Sunday night at The Side Door should be fascinating as trombonist Delfeayo Marsalis (brother of Wynton, Branford, and Jason) brings his Uptown Jazz Orchestra to the small stage at the venue. Mr. Marsalis created the ensemble in 2008 and recruited baritone saxophonist Roger Lewis (Dirty Dozen Brass Band) to help with the recruitment and material. In that time, the UJO has issued three albums, the latest being 2016's "Make America Great Again" (which was issued two months before Election Day). Not sure how big a band will perform but you should expect to hear a large amount of New Orleans music (the Marsalis's birthplace) as well a good portion of swing. Crescent City musicians understand how to move an audience so I would not be surprised if Side Door owner Ken Kitchings leads the Second Line through the performance space and into the Old Lyme Inn on the other side of the building. No matter what, this should be quite a Sunday treat. 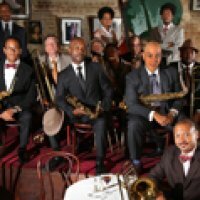 For more information about Mr. Marsalis & The Uptown Jazz Orchestra, go to www.dmarsalis.com. As for The Side Door, that door opens at 7:30 p.m. and the music commences at 8:30. 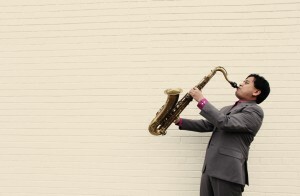 For tickets and more information, go to thesidedoorjazz.com or call 860-434-2600. 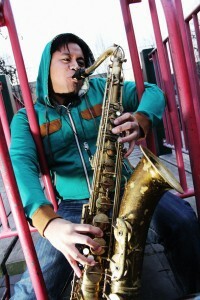 Jon Irabagon is a very busy creative musician. He was an original member of bassist Moppa Elliott's Mostly Other People Do The Killing, has worked/recorded with guitarist Mary Halvorson and trumpeter Dave Douglas, plays in the Maria Schneider Orchestra as well as with drummer Barry Altschul and bassist Joe Fonda in the 3Dom Factor. His ever-expanding discography now has entries with pianist Matt Mitchell and drummer Andrew Bain. 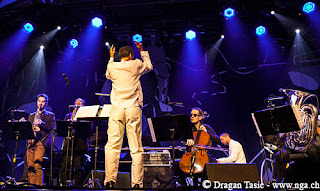 Several years ago, Irabagon started his own label, Irabbagast Records, which not only issues his recordings but also has released CDs by trumpeter Brandon Lee and the Uptown Jazz Tentet. 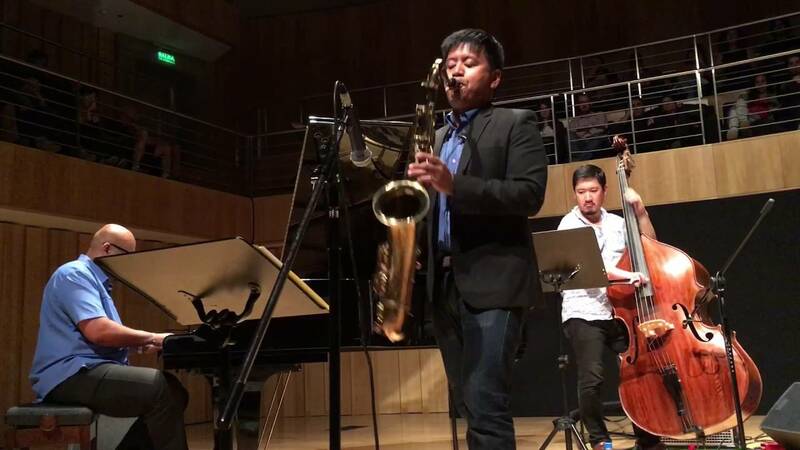 Just in the past six months, Irabagon has toured/performed with the John Yao Quintet, the Uri Caine Gershwin Project, the Mike Pride Trio, and the Donald Vega Quintet (and a many others). 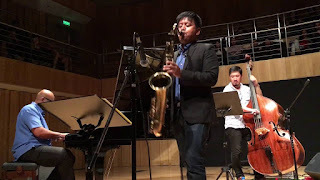 Several years ago, the saxophonist (he plays tenor, soprano, and sopranino ) formed a quartet with Luis Perdomo (piano), Yasushi Nakamura (bass), and Rudy Royston (drums). Their 2015 Irabbagast recording, "Behind The Sky", featured Tom Harrell (trumpet, flugelhorn) with much of the material composed while Irabagon was mourning the loss of several family members. 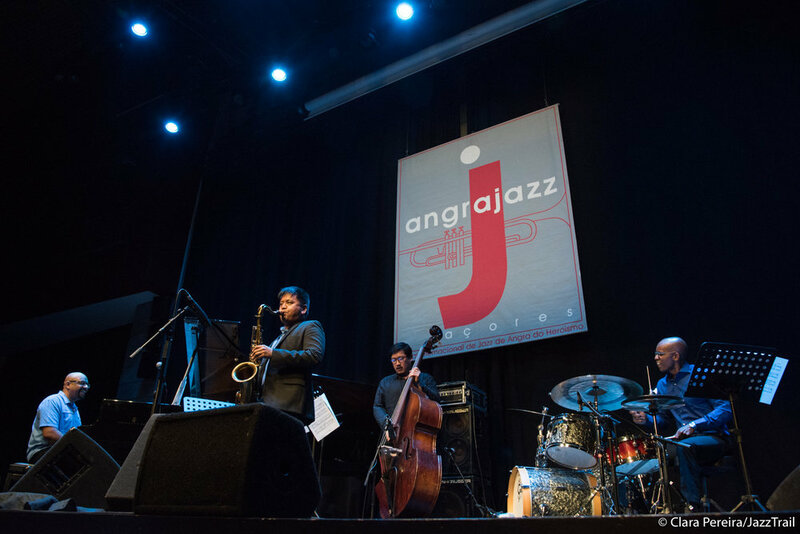 In the Fall of 2016, the group reassembled to tour South America with trumpeter Tim Hagans in tow. 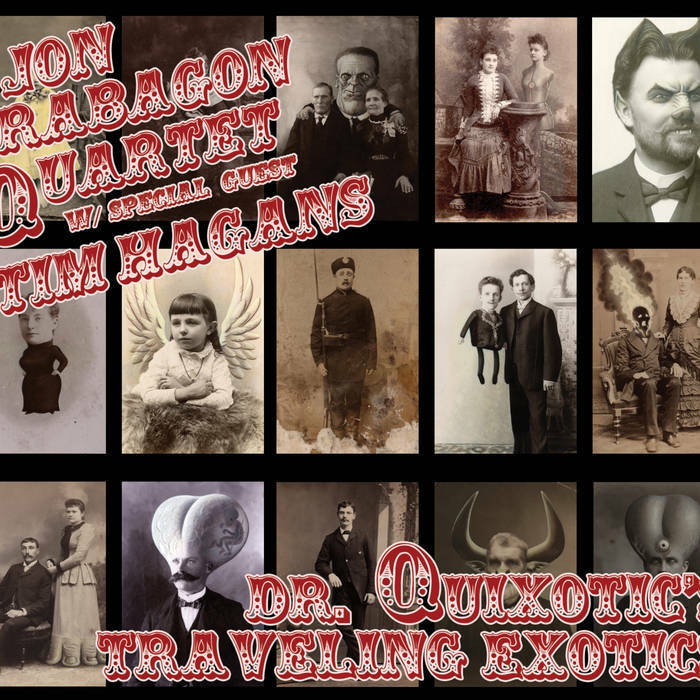 They played in Buenos Aires, Argentina, and then entered Estudio Doctor F and recorded the group's second album, "Dr. Quixotic's Traveling Exotics", a six-song program of Irabagon originals that finds the ensemble often in high gear and always in high spirits. One can certainly hear how much fun the quintet is having as five of the pieces last more than 10 minutes. Yet, there is no fat in this music: what you get are well-drawn compositions, powerful solos, great interactions, and a splendid rhythm section. The opening track, the devilishly-titled "The Demon Barber of Fleet Street" (not from the Stephen Sondheim musical "Sweeney Todd"), opens with a circular melody played solo by Irabagon (he plats exclusively tenor sax on this album) - when the band comes in (Hagans sits this one out), the melody leads up to a muscular bass solo and then into a drum solo during which the music speeds up. We are then treated to rabble-rousing piano solo before the leader calms down the band for a moment with the original melody. Royston lays down a powerful hard-rock beat underneath the tenor sax solo while Perdomo and Nakamura keep the foundation. Hagans joins the band on the second track, "Emotional Physics/The Things". The elemental melody, played by tenor sax, keeps the pace while the trumpeter flies above the band. The most amazing part takes place around 80 seconds ito the piece when the quintet breaks into a fascinating rhythm for a short while before breaking for a short bass solo. Then into a section where the bluesy, introspective, tenor sax leads the group in a different direction. Royston creates a storm underneath as Perdomo creates musical waterfalls. A quick tenor sax transition and the band swings back into high gear that leads to a delightful piano solo. The forward motion in the last several minutes is, at times, dizzying: even when the group "calms" down, there is such power in this music. "Pretty Like North Dakota" is the ballad on the album. Moving forward atop on the strength of Perdomo's piano lines, the blend of muted trumpet and tenor sax along with the sensitive cymbal work and the bass counterpoint gets its emotional depth from the melody and its suspended rhythm (rubato). The rhythm section drops into a slow tempo for the powerful trumpet solo. When the band stops, Perdomo reintroduces the original piano figures and Irabagon steps out for his smartly built solo. The closing track, "Taipei Personality", opens with a very funky drumbeat, a rhythm Royston keeps up mostly all the way through (his bass drum "hits shake the speakers). On most of the songs (on this tune as well), there are sections where Hagans and Irabagon engage in conversations or play short melodic figures while one member of the rhythm section solos. More like Monty Python's Flying Circus than Sgt. Pepper's Lonely Hearts Club Band, "Dr. Quixotic's Traveling Exotics" has musical twists-and-turns that take the eager listener out of the ordinary into a variety of special places. Yes, there is power in this music, the power of being an ensemble, with traveling together, with working onstage and in the studio, the power of music to bring joy to its creators as much as it does to the audience. Jon Irabagon hits new personal heights with this music, creatively and artistically. For more information, go to jonirabagon.com. In June of 2016, guitarist, composer, and owner of Playscape Recordings Michael Musillami suffered a brain hemorrhage. As the doctors did tests, a brain tumor was discovered. The subsequent surgery was successful and the musician was sent home to begin his recovery. 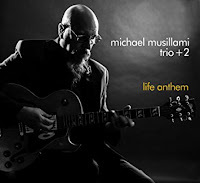 He used the rehabilitation time to compose the music that makes up "Life Anthem", the new album from the Michael Musillami Trio + 2. The Trio - Joe Fonda (bass) and George Schuller (drums) - started its life in 2002. 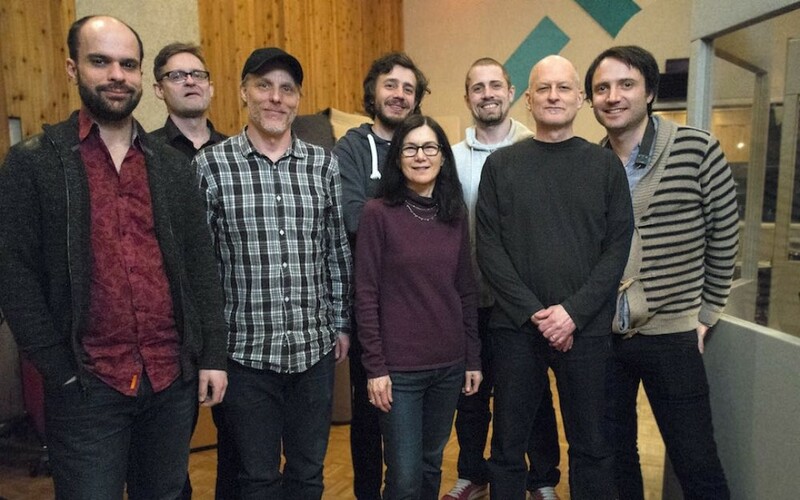 For this recording, the band's ninth and sixth with guests, Musillami added the musical voices of Kirk Knuffke (cornet) and Jason Robinson (tenor and soprano saxophones, alto flute). The album is a musical diary of the composer's physical trials, opening and closing with two versions of the title track. The first is played by Knuffke: with his crystal clear tone, the music sounds like a call to prayer, a plea for attention. That leads into "I Hear Sirens In the Distance", a tension-filled quintet piece filled with long tones, moaning brass and reeds, and Musillami's slippery, short, even fragmented guitar lines that equate to the mysterious trouble he was going through waiting for the ambulance. Along the way, there is more musical tension on "MRI Countdown" and the troubling "Slow Bleed." The composer's attitude begins to turn on "Dr. Mohammed Khaled, Neurosurgeon", a driving piece highlighted by the pounding drums, a powerful interaction between Knuffke and Fonda, and a long guitar statement - now, the leader's guitar work is more assured, not frenetic, but bending towards hope. Fonda's solo bass spotlight, "I'm Beginning To Feel Life's Pulse Again", is a 2:00 delight that leads to the medium-tempo quintet meditation "June Recovery." The road is not always smooth as one hears in "ICU Blues" and one imagines that "Visions" is the composer's response to having little to do but be still and recuperate. The latter tune, the longest on the 15-song album at 12:48, may have inspired by Musillami's dreams about being back on the bandstand. His playing now has increased fire and the guitarist is enjoying the push he feels from the rampaging rhythm section. But, the pace slows for Knuffke's solo over the bass and drums followed by Robinson's blowsy tenor sax spotlight. During the saxophonist's solo, the beat returns to an exciting level, going for an explosive climax. The album features a trio short improvisations ( "I Hear Sirens..." is, mostly, improvised but contains composed cues), the afore-mentioned "Slow Bleed", the hesitant "Night Walker", and the handsome "Family" (which is guitar, alto flute, and, late in the piece, bowed bass). The final two tracks are short but ever so positive. "Think Of Something Beautiful" is an up-tempo romp one expects to break into a series of solos but, instead, leads into the group rendition on the title track. Here. the music has restored power amidst the feeling of thankfulness and joy for the leader's return to playing and being with his musical friends. Michael Musillami's story has a happy (and healthy) ending. 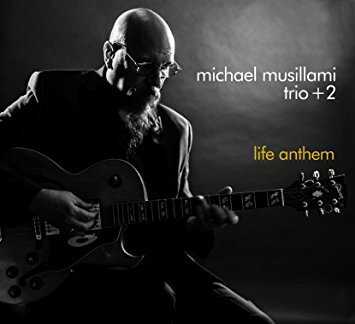 "Life Anthem" takes the listener on quite a journey with compositions that are, arguably, the finest of the guitarist's (nearly) three-decade career. With his long-time rhythm section as well as two new companions, Trio +2 is a formidable ensemble worthy of your attention. For more information, go to www.michaelmusillami.com. Ah, to be in Connecticut this coming weekend. A profusion of wonderful music can be heard (not to forget the marching bands on Memorial Day Monday) in the clubs and concert spaces. 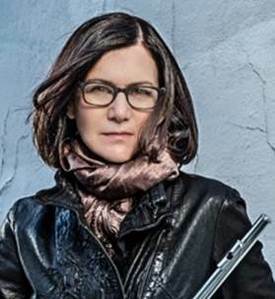 Firehouse 12, 45 Crown Street in New Haven, continues its Spring Concert Series on Friday night with flutist, composer, and arranger Jamie Baum and her Septet+. It's the first night of three consecutive CD Release concerts - Saturday, the ensemble plays at The Cell Theater in New York City while Sunday, Ms, Baum returns to her home town to perform at The Fairfield Theatre Company, Stage One. They are celebrating the release of "Bridges", the group's new album (reviewed here). On Friday evening, there will be two sets, the first at 8:30 p.m., the second at 10 p.m. Best of all, the musicians on the recording - Jamie Baum (flutes, singing bowl), Amir ElSaffar (trumpet, vocals), Sam Sadigursky (alto sax, bass clarinet), Chris Komer (French horn), Brad Shepik (guitar), John Escreet (piano), Zack Lober (bass, singing bowl), and Jeff Hirshfield (drums) - will crowd into the Firehouse performance space and present the wonderful music on the album plus more. For ticket information, go to firehouse12.com or call 203-785-0468. If you have ever considered spending a weekend along the Connecticut shoreline, say in Old Lyme, this is the weekend to book a room at the Old Lyme Inn. Not only for the fine food and furnishings, but also for the fact that The Side Door Jazz Club is attached to the Inn and owner Ken Kitchings and his music manager, Rich Martin, have a three-night music extravaganza planned. On Friday night, pianist and composer Renee Rosnes (pictured left) celebrates her new Smoke Sessions Records release, "Beloved of the Sky" with an all-star quartet that features Steve Nelson (vibraphone), Peter Washington (bass), and Carl Allen (drums). Ms. Rosnes, who is married to pianist Bill Charlap, has not only released 16 albums as a leader but also has worked with the late Joe Henderson, Wayne Shorter, and the SFJazz Collective. For more information, go to reneerosnes.com. 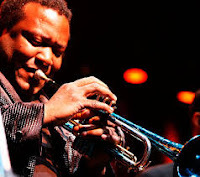 On Saturday night, trumpeter Wallace Roney brings his Quintet to Old Lyme, an ensemble that features a veteran rhythm section - bassist Curtis Lundy and drummer Ronnie Burrage - and two fine young musicians - 18-year old saxophonist Emilio Modeste and pianist Oscar Williams. Mr. Roney, a native of Philadelphia, PA, has been active on the jazz scene for nearly three decades. He cites three great trumpeters - Clark Terry, Dizzy Gillespie, and Miles Davis - as his mentors. Over the last decade, Roney has become a mentor for numerous musicians, taking them on the road and into the studio to create music that ranges from mainstream jazz to more electronic adventures, always with a melodic flair and powerful solos. For more information, go to www.wallaceroney.com. Stay that extra night because, on Sunday, The Side Door presents composer and vocalist René Marie. 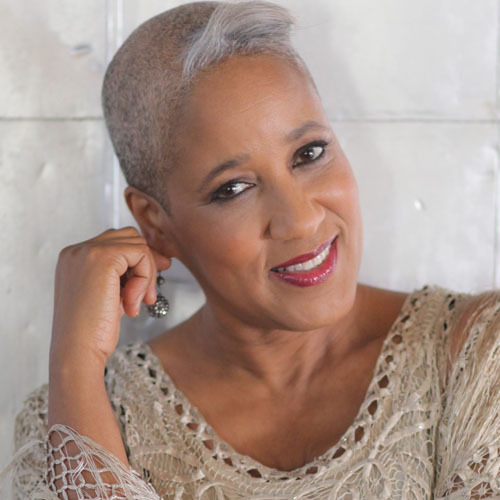 One of the most engaging singers and performers on the contemporary scene, Ms. Marie started performing at a young age and turned professional in her mid-teens. She got married at the age of 18 and became a stay-at-home mother. It was her son who convinced her to get back into singing. Getting back to music caused a rift in her marriage and she soon was divorced. Ms. Marie moved to Washington D.C., made her name on the club scene, signed to the MaxJazz label (now Mack Avenue) and released her debut album at the age of 45! Slowly and steadily, she has developed her musical persona and stage presence that is so appealing. Joining her will be her touring and recording Trio including long-time members Elias Bailey (bass) and Quentin Baxter (drums) plus newest member (3 years and counting) pianist John Chin. For more information, go to renemarie.com. The Side Door opens its door at 7:30 p.m. and the first set commences one hour later. For more information and reservations, go to thesidedoorjazz.com or call 860-434-2600. Hopefully, you'll be able get to one or more of these shows. Bassist and composer Mario Pavone returns to Firehouse 12, 45 Crown Street in New Haven, this Friday (5/21) with his Dialect Trio. Pianist Matt Mitchell and drummer Tyshawn Sorey join the CT native for an evening of sonic explorations, edgy melodies, compelling solos, and absorbing interactions. I have always maintained that Pavone writes from the bass outward and love how his thick lines propel the melody as well as what his associates do with his compositional approach. 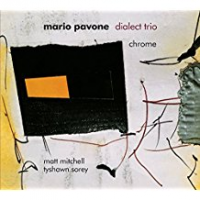 The Trio's second CD, "Chrome" (Playscape Recordings) , was issued in the Autumn of 2017 and is, arguably, one of Pavone's most exciting recordings. This is a group that knows how to push each other, they listen, respond to, and inspire each other plus create excellent solos. Engineer Nick Lloyd (of Firehouse 12 Studios) does an amazing capturing the sound of Pavone's bass so you can not only hear his solos but also how he interacts with Mitchell and Sorey. There's a great sense of rhythm as well as "freedom" in this music. The compositions save one are Pavone originals and the one is a group improvisation inspired by and named for pianist Paul Bley who passed six months prior to the recording. This should be quite a musical experience and is the last date on a short CD release tour. For ticket information, go to firehouse12.org or call 203-785-0468. I love getting emails from Brian Charette - he's such a busy guy, making so many different kinds of music with so many people. His latest missive included the poster above and links to the CD that the CT-born organist recorded with tenor saxophone master George Coleman. Mr. Coleman, a Memphis, Tennessee, native turned 83 in March and is in the midst of a career that stretches over six decades. He has recorded with B.B. King, Lee Morgan, Max Roach, Slide Hampton, Miles Davis, Herbie Hancock, Elvin Jones, so many others. 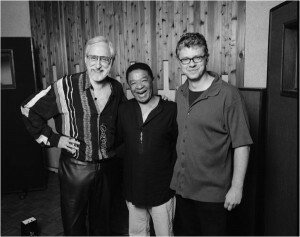 Steeplechase Records owner and producer Nils Winthers captured Mr. Coleman in the studio last December with Charette, guitarist Vic Juris, and drummer George Coleman Jr. 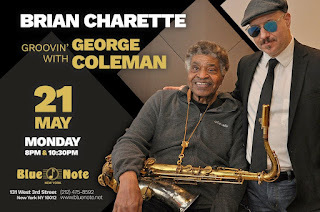 The results of their day together can be heard on "Groovin' With Big G" and, if you read the poster closely, the quartet celebrates the new CD with a date at the Blue Note, 131 West 3rd Street in New York City this coming Monday night. They'll play two sets - 8 and 10:30 p.m. - for more information, go to www.bluenote.net/newyork/index.shtml or call 212-475-8892. Mr. Coleman and Mr. Charette also play in a trio setting on Saturday May 26 at 7 p.m. in The Jazz Loft, 275 Christian Avenue in Stony Brook, NY. To find out more and make reservations, go to www.thejazzloft.org or call 631-751-1895. 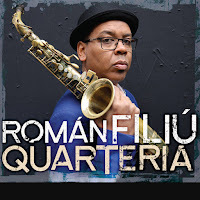 Alto saxophonist and composer Román Filiú, born in Santiago de Cuba and now a resident of New York City, has created quite a busy career. He performs and records with Henry Threadgill's Ensemble Double Up and with drummer Dafnis Prieto. 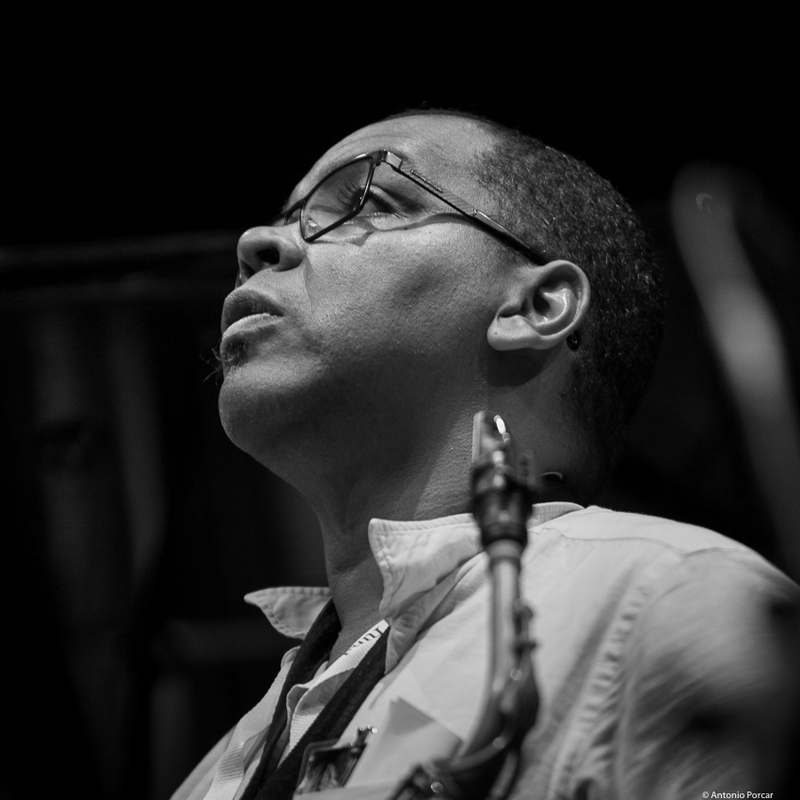 He has also worked with fellow saxophonist David Murray, pianists Gonzalo Rubalcaba, Marta Sánchez, and Chucho Valdés plus drummer-composer Doug Hammond. His first album as a leader , "Blowin' Reflections", was issued in 2006 on the Spanish Bost Espacio Creativo label while his second, "Musae", was issued in 2012 on Prieto's Dafnison Music imprint. Both featured fiery playing as well as intelligent compositions that mined the composer's heritage while illustrating how he continually looks forward. 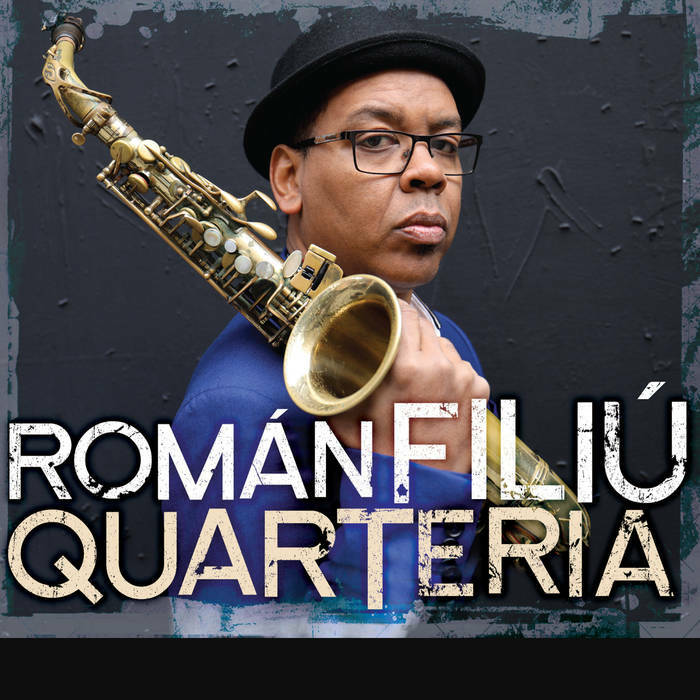 "Quarteria" (Sunnyside Records) literally translates to "house of residence" and "small housing units" - the title also refers to the place where Filiú grew up. Joining him on this musical adventure is Ralph Alessi (trumpet), Dayna Stephens (tenor sax), David Virelles (piano), Matt Brewer (bass), Craig Weinrib (drums), and Yusnier Sanchez (percussion) plus Maria Grand (tenor sax on two tracks). The musicianship is superb throughout as Filiú creates an extended suite that show the diversity of his influences (Cuban dance music, classical studies, Afro-Caribean music). Note the clean tones of the front line, the articulate piano lines, the powerful bass, drums, and percussion but also pay attention to the extended melody lines, the harmonies, and the solos that grow organically from the composer's settings. From the opening throbbing rhythms of "Fulcanelli", the listener enters into a musical world at once familiar yet challenging. Listen to how the melody for the reeds and trumpet is constructed and how the opening solo (Filiú) dips and swerves around the Monkian piano chords and hopscotch rhythms. Virelles, who also hails from Santiago de Cuba, takes a most delightful turn before Stephens engages him in a fascinating musical conversation. Weinrib, who plays alongside the leader in Ensemble Double Up (as does the pianist), leads the group into "Grass", at first playing a melodic line: then he continues to play around and through the phrases and interactions of the others. "Choral" is a beautiful ballad with a haunting melody line filled with harmonic turns, Both saxophonists take handsome solos before Virelles's contemplative turn (listen to Brewer's excellent counterpoint during the piano spot). Filiú composed three "Danzas" for the album. "#5" comes first and is a short (1 minute) yet thoughtful piano solo that leads into "#1" , a piece that jumps out of the speakers led by the excellent percussion and drums. The dancing rhythms rumble beneath the soloists, reacting to the dynamics of the players while spurring them forward. Alessi builds his potent solo not only on the melody line but on the rhythms below him. Separating "#1" from "#3" is the short but succinct "Glass", an uncomplicated melody line but a powerful piano spotlight. The final "Danza" begins with a fine bass solo before the tolling piano chords lead the rest of the group in. Here, the trumpet solo darts forward ahead of the beat before Stephens comes in, echoing the percussion. Virelles takes a fiery solo, weaving atonal chords with rushing single-note runs in a stunning fashion. 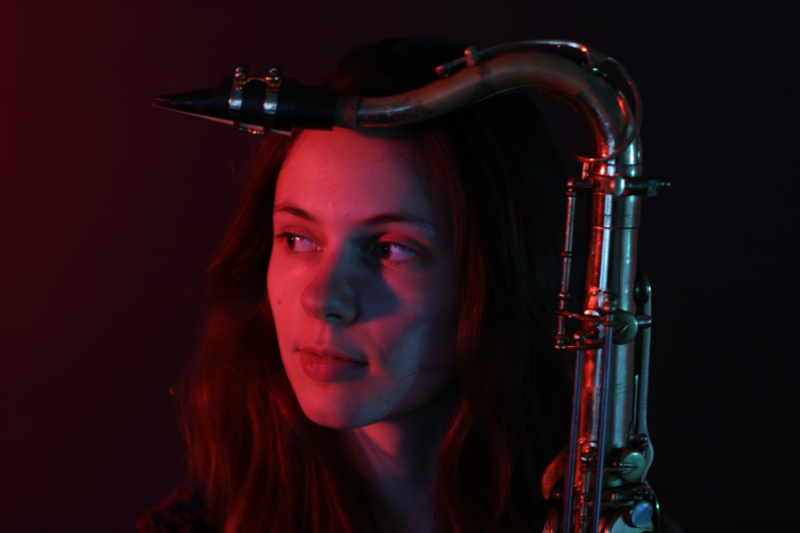 Saxophonist Maria Grand adds her tenor sound to "For Horns and Bells", a short yet lovely piece with a melody reminiscent of John Coltrane's "Central Park West"; in particular, the arrangement reflects the version Jack DeJohnette recorded with his Special Edition in 1980. She also can be heard on the following track, "Tursten", adding her attractive sound to the collective melody line before taking her solo, The rhythm section simmers below her as they do beneath Filiú - the pace picks up, a momentary montuno, right before the close. "Quarteria" attracts the listener with its intelligent melodies, intricate harmonies, and captivating rhythms. The sound of this music is so clear, never cluttered, with inventive solos and interactions. Román Filiú, along with his excellent ensemble, has created an exciting program, music that resonates with one's feet, heart, and soul. For more information, go to www.romanfiliumusic.com. Ms. Grand, a native of Switzerland. 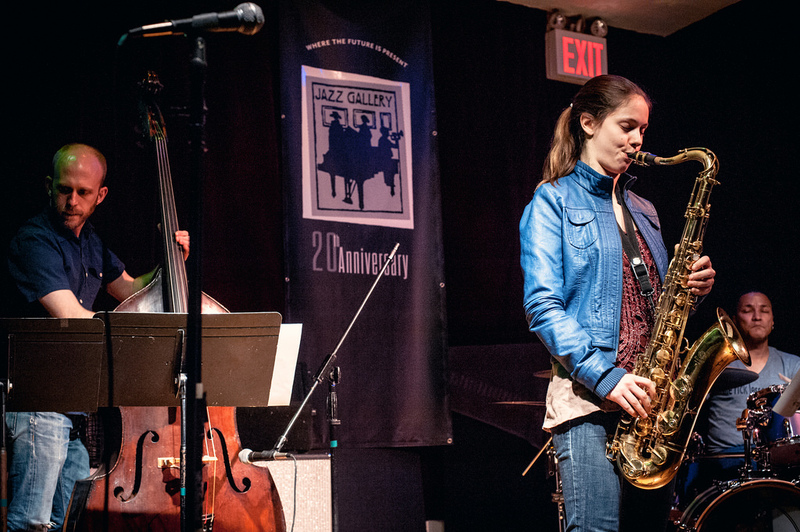 moved to New York City in 2011 (at the age of 19) to study and work with Billy Harper, Doug Hammond, the late Von Freeman, and Steve Coleman. 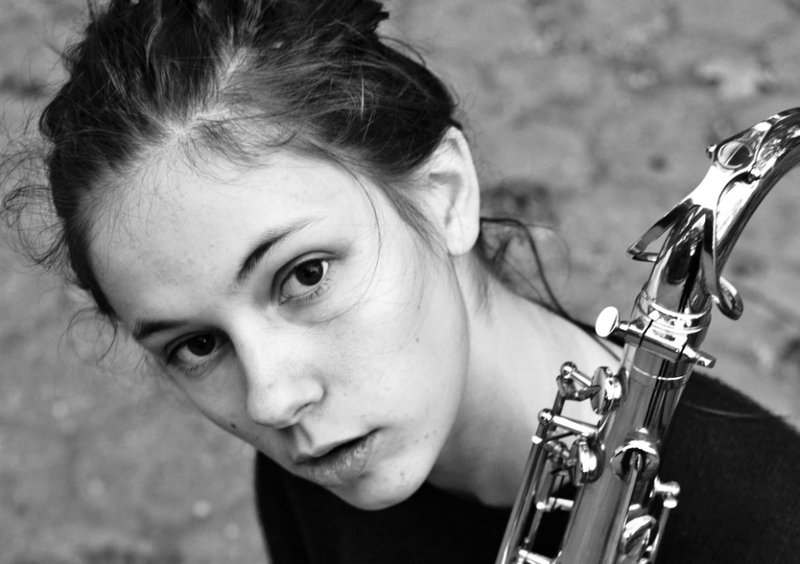 She has recorded with Coleman on his most recent Pi recordings, "Synovial Joints" and "Morphogenesis." The album opens with "La Immortal", a rubato work that features spoken-word artist Jasmine Wilson (a vocalist and poet) - the words celebrate the feminine aspect of creation while the saxophone, piano (Bryant), and rhythm section skitter beneath the voice. Almazan's piano rumbles, flows, and thunders below Ms. Grand's voice on "Imani/Walk On By", a tribute to vocalist Imani Uzuri. The two tracks with Ms. Halvorson, "Last Year" and "Sing Unborn", both deal with personal relations, although the latter tune is written to Ms. Grand's unborn children. The blend of guitar and voice has a mysterious quality heightened by the tension in the melody line as well as the sustain and studio echo. For this listener, it's the three-part, 19-minute "T" suite that stands out. On "T 1: Isis", Ms. Grand winds her way through the melody while Carter's electric bass provides a thick counterpoint and Dutton pounds, rattles, and dances underneath. "T II: Maria", according to the liner notes represents the "Virgin Birth" of Jesus to Mary and Joseph. After a powerful solo saxophone intro, the rhythm section enters, Carter on acoustic bass and Dutton setting a medium pace Ms, Grand to move seamlessly over. There are moments on this recording, this being one of them, when you can hear the influence of Steve Coleman and Greg Osby, especially n the way the bass and drums frame the saxophone as well as the adventurous melody lines in the solo. 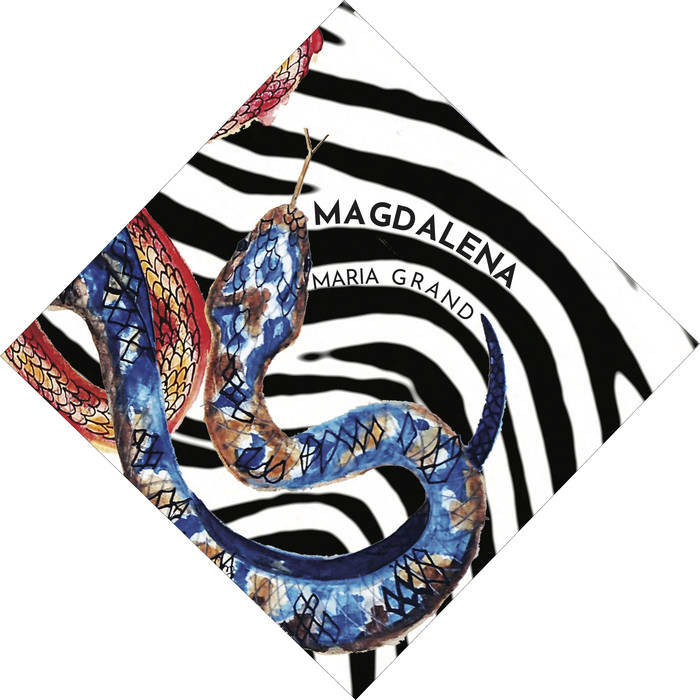 "T III: Magdalena" floats in on acoustic bass and splashing cymbals supporting a formal, Indian-influenced, melody. The piece opens to a wide-ranging bass solo and when the drugs and saxophone return, the mood returns to the contemplative state of the first part of the track. However, Dutton is more active, more intense, as a counterpoint to the rolling saxophone lines. That tension is quite effective and is broken right at the end by a short, bouncy, melody that closes the piece. Bryant's roiling piano work stands out five tracks on which he joins the band but especially on the trio of pieces that are back-to-back-to-back. "Pyramid Sphere" opens in a funky mood and the pianist immediately launches into a solo. Built off the melodic phrases that open the track, Bryant engages in a a lively give-and-take with the bass and drums. Ms. Grand picks up on that energy, entering into her solo in a playful mood. A strident piano chord introduces the next track, "Where Is E", and one expects by the saxophone-piano duo, the piece will be a ballad. The pace is slow, with a blues feel, yet moves in unexpected directions (note the excellent bass work). The final song of the three, "Demonium", has a funky feel, a cross of The Meters with Steve Coleman. Dutton is the focal point here, creating a tension-filled skittish rhythm that influences how Ms. Grand and Bryant respond. The album closes with the other spoken-word piece, "Ejes y Deseos", which features rapper Amani Fela. With an airy background, a powerful bass line, and several melodic interchanges between the saxophone and piano, the song is a positive close to a program. Among the lines are the opening couplet "May all the creation the children of love/feel the burn of happiness" and the closing couplet "Infinite connection through the hearts/Real life energy shared in the minds of thousands." There are moments when Ms. Grand's lyrics sound precious but the music beneath the voice has power and a strength that gives the words more depth. 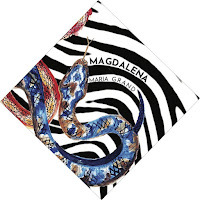 "Magdalena" is a fascinating recording, very different from one might expect of someone so young. 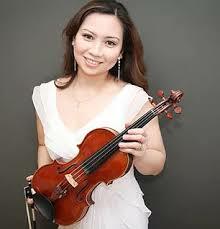 Her teachers and mentors obviously heard elements in the music created by Maria Grand to allow her to take flight. 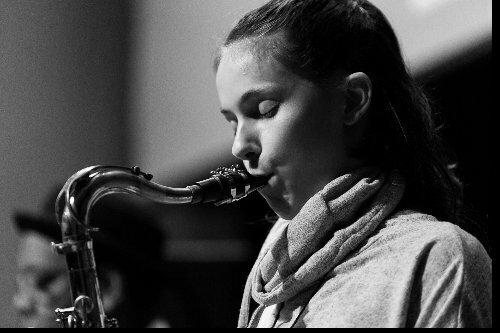 Her voices, singing and saxophone, are already beginning to move away from her mentors: it should be fascinating to hear and see how this artist changes as she grows. For more information, go to www.mariakimgrand.com. 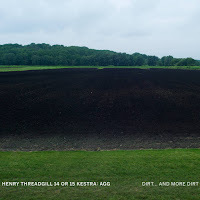 Not one but two new recordings and ensembles playing the music of Henry Threadgill have been released this month on Pi Recordings. Aficionados of the Chicago native, Pulitzer Prize winning, composer, saxophonist, and flutist, received an early New Year's gift when "Dirt...And More Dirt" was issued online 12/31/17. It's the first recording by 14 or 15 Kestra: Agg, a 15-member ensemble that features three alto saxophonists (including the composer), two drummers, two pianists, two trumpeters, two trombonists, tuba, bass, cello, and guitar. The program consists of two suites, the six-part "Dirt" and the four-part "And More Dirt", both inspired by artworks (Walter de Maria's "Earth Room" and the sculptures of Stephen De Staebler). The music builds off of the work of Threadgill's Zooid ensemble (cellist Christopher Hoffman, guitarist Liberty Ellman, drummer Elliot Humberto Kavee, and the stunning tuba player Jose Davila) not only with the more expansive sonic palette but with even greater dynamic variations. If you are familiar with Threadgill's music, the pieces often have choppy rhythm parts, usually move from melody to another melody, matching disparate sounds, going in unexpected directions, and rarely concerned with solos. In those ways, the music on these albums may remind some of the work of Lawrence "Butch" Morris (1947-2013) as well as the large ensemble writing of Muhal Richard Abrams (1930-2017). You need to hear this music without the prejudices of a reviewer or critic. Sit down and listen, then listen again. Play it loud. Pay attention. Look at the cover image taken by long-time colleague Jules Allen. How does the music relate to the image? Listen again and take notice of the conversations between musicians. Be open. 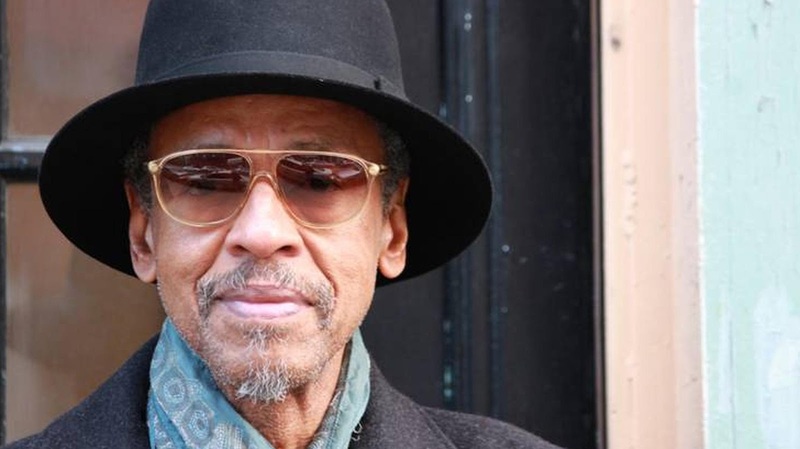 The music Henry Threadgill composes, arranges, and plays is unlike any other. Like Morris and Abrams, like Wadada Leo Smith, George Lewis, Nicole Mitchell, Roscoe Mitchell, all members or former members of the AACM, Threadgill's music is unique. 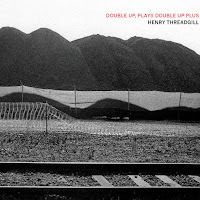 "Double Up, Plays Double Up Plus" is the second recording by Threadgill's Ensemble Double Up, that made its debut on the 2016 Pi Recording "Old Locks and Irregular Verbs." 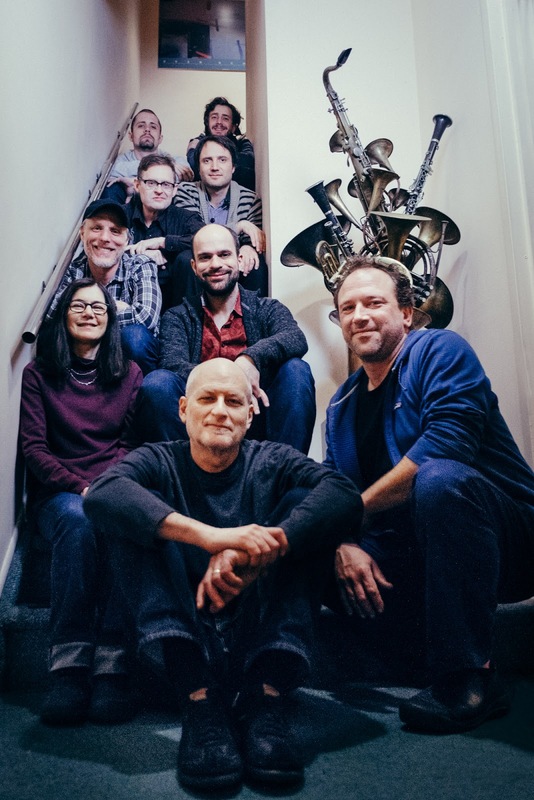 The "Plus" on the new album refers to the fact that the group is now an octet adding a third pianist to the lineup of saxophonists Curtis MacDonald and Roman Filiú, Jose Davila (tuba), Christopher Hoffman (cello), and Craig Weinrib (drums). Vijay Iyer and David Virelles were the pianists on the first album - Virelles returns but now is joined by Luis Perdomo and David Bryant. In the past, Threadgill rarely included piano in his music but it is fascinating to hear his he uses the instrument in the ensembles reviewed here. Listen to "Clear and Distinct From the Other A", notice how all the voices are utilized either in duos or trios, how the piano moves in and out, in one instance making room for Virelles's harmonium and also playing a short passage with just piano and harmonium. When the rhythm section, notice the interaction between drums, cello, and tuba - that trio's forward motion is often dizzying and pushes the various soloists to dig deeper. The program also features "Clear and Distinct From the Other B" which may be the same composition but approached in a different manner. Both performances open with solo piano and then different combinations of musicians create fascinating interactions. There is more focus on the piano on "B" with several moments of powerful solo playing. This two cuts are followed by "Clear and Distinct" - again, the piece opens with a solo voice and here it is Davila's stunning tuba playing (includes several moments of multiphonics). One by one, other instruments enter and the focus shifts to a long piano statement. In fact, all three pianists solo and support each other on this track. Again, the rhythm section shines. The interaction of tuba and cello (especially Hoffman plucks the strings) is a treat to listen to. What stands out for this listener is how playful this music is. 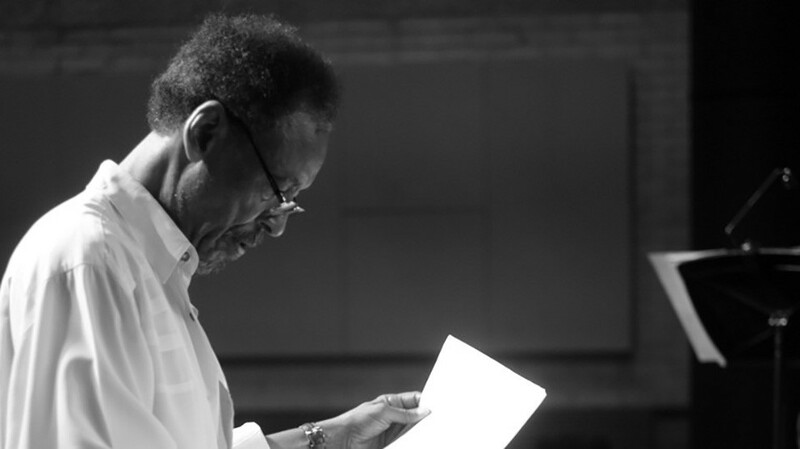 Not that the music isn't "serious" but Threadgill has composed melodies and created arrangements that open up to allow the ensemble the freedom to move. Solos abound as do "groups-within-the-group" interactions (listen to "Game is Up" below) and, because these musicians have a great understanding of what the composer needs of and from them, the results are so pleasing. "Double Up, Plays Double Up Plus" has elements of the music that Henry Threadgill has created for nearly five decades. And, the addition of piano has opened up the aural landscape even more for a composer who continues to create compelling music on so many levels. 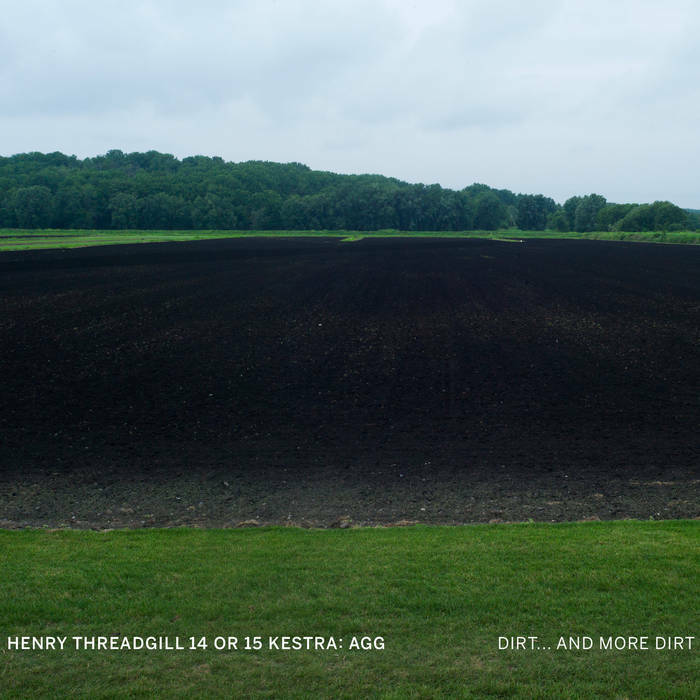 For more information, go to www.henrythreadgill.com. Flutist, composer, and arranger Jamie Baum first formed her Septet in 1999: the ensemble made its recording debut for the now-defunct Omnitone label then moved to Sunnyside Records for the 2008 release of "Solace." In 2010, trumpeter Amir ElSaffar joined the ensemble, adding not only his instrument but also his great knowledge of Middle Eastern Maqam. Five years later, the group had evolved in Septet+ and issued the amazing "In This Life." Influenced by Ms. Baum's travels to Southeast Asia and her studies of the work of Pakistani vocalist Nusrat Fateh Ali Khan, the album won numerous accolades. The arrangements blended fiery rhythms, elongated melody lines, and intelligent use of the higher sounds (flute, piano, and trumpet) with lower sounds (alto flute, French Horn and bass clarinet) to create adventurous music. 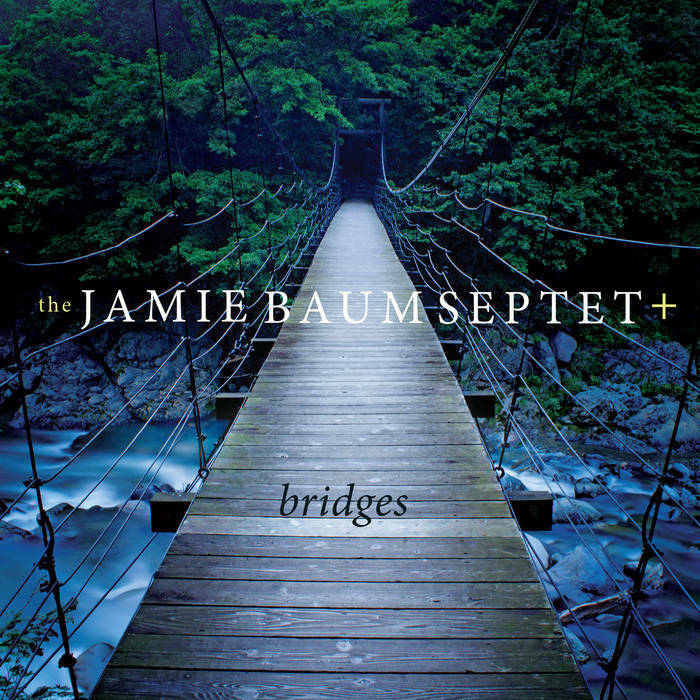 Ms. Baum's latest project, "Bridges", attracts from the moment one sees Masashi Karabuki's stunning cover photograph ("In This Life" also possess a striking cover - take a look). The nine-song program is split into three distinct sections. The first three tracks, "From The Well", "Song Without Words", and "There Are No Words") are influenced by the composer's recent personal experiences. 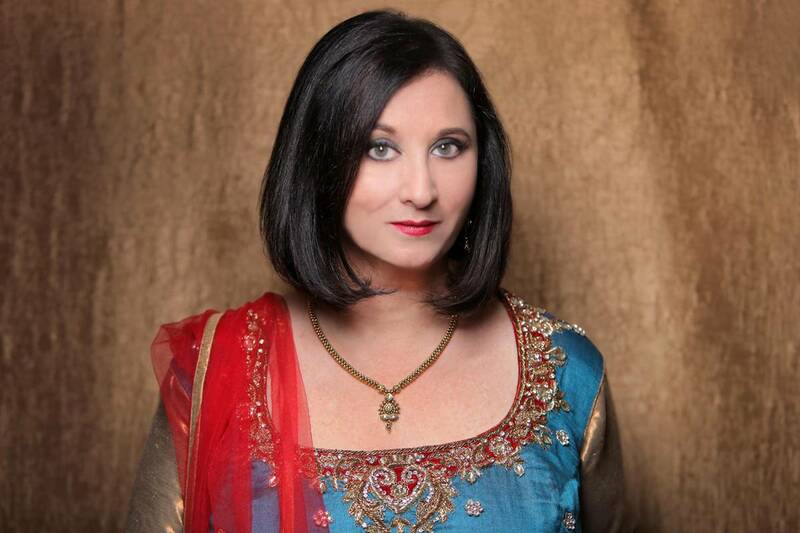 The opening track celebrates Ms. Baum's explorations into Maqam, Jewish, and South Asian music. While one absorbs the exciting melody line, make sure to pay attention to the splendid leadership and support from the rhythm section (pianist John Escreet, guitarist Brad Shepik, bassist Zach Lober, and drummer Jeff Hirschfield plus guest percussionist Jamey Haddad). There are excellent solos from the leader, bass clarinetist Sam Sadigursky (the newest member of the ensemble), and ElSaffar, whose phrases, at times, reminds this listener of the Muslim call-to-prayer yet also move into "freer" territory. The trumpeter, who ins increasingly showcasing his vocal talents, gets the lead on the second track, which carries the subtitle "for S. James Baum." Here, the vocal line is influenced by Hebrew prayer (but not "The Mourner's Kaddish"), a way to give thanks for the life of a parent or loved one. Besides the stunning vocal, there are excellent (and emotional) solos from Sadigursky (bass clarinet) and Ms. Baum (alto flute). "There Are No Words" also refers to the mourning process but here there is a sense of renewal and purpose. Bassist Lober takes the first solo, a handsome melodic turn. Ms. Baum follows, her flute electronically split into two registers. Escreet steps out next for a fleet-fingered dance. The next three tracks are dedicated to "Honoring Nepal" The Shiva Suite". Ms. Baum has performed several times at Katmandu Jazz Festival and, like many people, was deeply touched by the destruction caused by the 2015 earthquake. The "Suite" was commissioned by the Rubin Museum of Himalayan Art in NewYork City. Part 1 "The Earthquake" is a powerful musical depiction of the clam before the devastation as well as the shaking, shuddering, shifting earth before the mournful lament at the close. "Renewal" begins with gentle hand percussion and soft piano sounds (many made with Escreet's hand dampening the strings) the moves forward on the strength of a delightful and percussive melody supplied by the piano and guitar. Bells and piano introduce "Contemplation", a piece that includes melodies and harmonies for the front line and a finishing section that is both up-tempo and uplifting. Tabla drummer, percussionist, and vocalist Navin Chettri joins the ensemble for the next two tracks, the powerful "Joyful Lament" and the peaceful "Mantra." The former cut opens with voice and tabla before the band is led in by Shepik. Hirschfield's hard-edged drumming fuels the piece which blends South Indian music with American blues in a playful yet serious fashion (the guitar solo roars out of the ensemble somewhat like what John McLaughlin did with his Mahavishnu Orchestra in the early 70s). It's just Chettri on voice and tanpura (the Indian stringed instrument that creates drones) and Ms. Baum on singing bowl and flute for the latter track. No tension here only a sense of quiet clam and reflection. The album closes with "Ucross Me", an uptempo piece created by Ms. Baum during a residency at the Ucross Artist Colony in Wyoming. The piece moves in and out of the rhythm stepping away for solos by ElSaffar plus a wonderful call-and-response before Shepik rocks out once more. But, pay attention to the interactions of the rhythm section, the reeds and brass. "Bridges", the album, does what bridges, the structure, are built to do i.e. break down barriers, cross borders, bring people and ideas together, and to take people to new places to have new experiences. 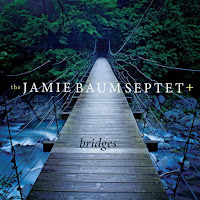 Jamie Baum Septet+ continues to make exceptional music, music that makes us think, makes us contemplate, and moves us in so many ways. For more information, go to jamiebaum.com. There you will see that the ensemble will have a CD Release Weekend at the end of May (5/25-27) with two of the shows in Connecticut. 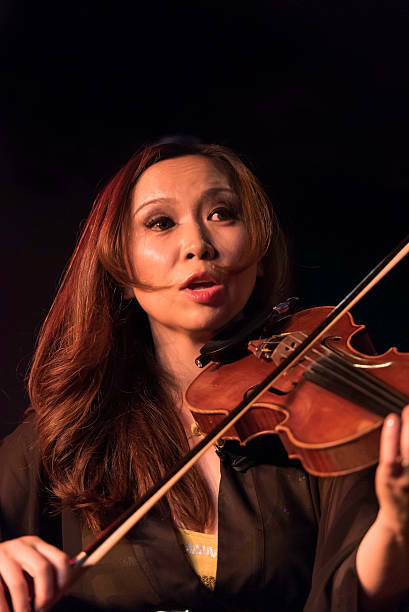 Chant Records has released two new recordings led by violinist and composer Meg Okura, her improvised concert with husband Sam Newsome (soprano sax) and pianist Jean-Michel Pilc ("NPO Trio", reviewed here) and "Ima Ima", a studio recording by her 10-member Pan Asian Chamber Ensemble. It's quite an engaging project that blends the sounds of Newsome's soprano sax, Tom Harrell (trumpet, flugelhorn), Sam Sadigursky (clarinet, bass clarinet), and Annie Drummond (flute, alto flute, piccolo) with the rhythm section of Brian Marsella (piano, electric piano), Rez Abbasi (guitar), Pablo Aslan (bass), and Jared Schonig (drums) plus several appearances by Riza Printup (harp). 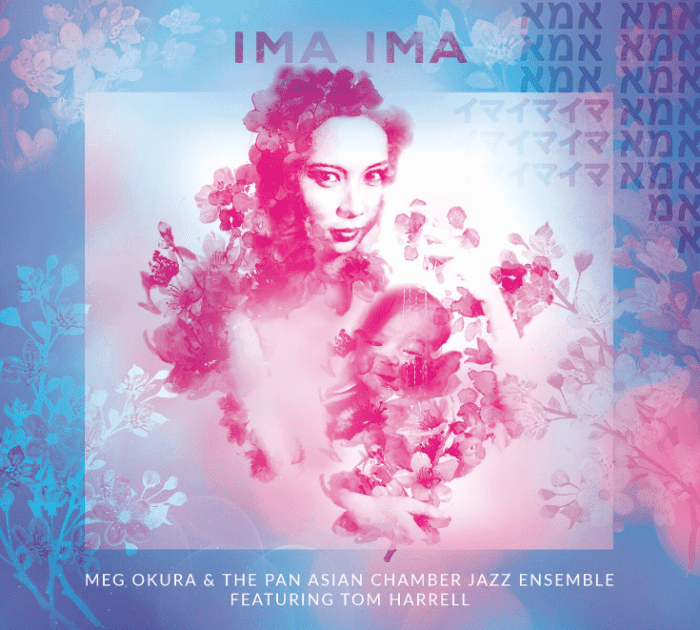 The album's title combines Ms. Okura's native upbringing ("ima" means "now" in Japanese) with her adopted religion ("Ima" is "mother" in Hebrew) while the music blends her myriad of interests, from the folk and classical music she grew up with as well as the jazz that is her passion and life. The title track has a lovely melody line that is supported by an active rhythm section. Ms. Drummond's flute blends with the soprano sax and violin introduce the main theme before Newsome steps out for a lengthy and far-reaching solo. 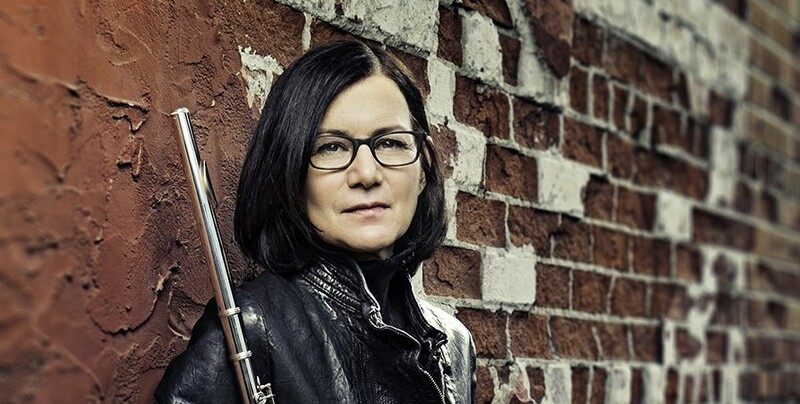 The composer's impressions of her time in Israel are the basis of "A Summer in Jerusalem", a piece that opens as a sound montage: then the bass clarinet introduces the bass line and the ensemble powers forward. The arrangement shows the strong influence of Gil Evans behind the strong solos from Marsella (electric piano), Abbasi, and the leader. After Ms. Okura brings her an end, everyone drops out save Ms. Printup's harp. She introduces the fine flugelhorn solo while the ensemble slowly climbs back into the picture (note the lovely wordless vocal from Ms. Okura). One can hear Japanese influences on "Tomiya" what Ms. Okura describes n the liner notes as a taiko-drum rhythm: yet it also sounds like a tango plus there is also a mainstream jazz feel. It's so enjoyable to hear there arrangement opens to allow each voice to have a piece of the melody. 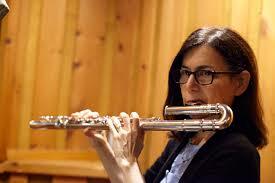 Both Harrell and Ms. Okura solo yet the multi-sectioned piece allows for tempo changes and delightful interplay. Another episodic work, "Birth of Shakayamuni", has its roots in Buddhism. The sprightly melody is passed around from bass clarinet to flute to piano to violin before the piece moves to a solo section for Sadigursky's clarinet. More th intelligent backing from the guitar and harp. Abbasi's solo comes over a rapid-fire rhythm then gives way to a fiery solo from Ms. Drummond. The violin leads the way on the final section but, again, each voice in the ensemble has a piece of the melody. "Black Rain" takes its inspiration from the atomic bomb attacks that brought World War II to its shocking conclusion. The poignant melody is shared by the soprano saxophone and violin. Yet, like the other pieces, the melody moves around until Marsella's captivating solo that opens with a more traditional Japanese feel before moving on. Before Ms. Okura takes her solo, she shares a short conversation with the flutist (listen to how they move around each other with trills and musical curlicues). "Ima Ima" makes for engaging listening. Filled with strong melodies, excellent arrangements, and fine musicianship, the album is a journey inward and outward with Meg Okura telling her young daughter the story of her ancestors, the story of the challenges her mother went through to come to the United States, and how hard it was to begin a new life. There is no bitterness, no losing faith: instead, the music can be viewed and listened to as a celebration of survival, renewal, and hope for a brighter future. For more information, go to www.megokura.com. I have had the opportunity to interview Dr. Denny Zeitlin several times over the past decade. He's had a long career - his first recording was issued in 1963 - not just in acoustic music but also as an experimenter in electronic pieces. 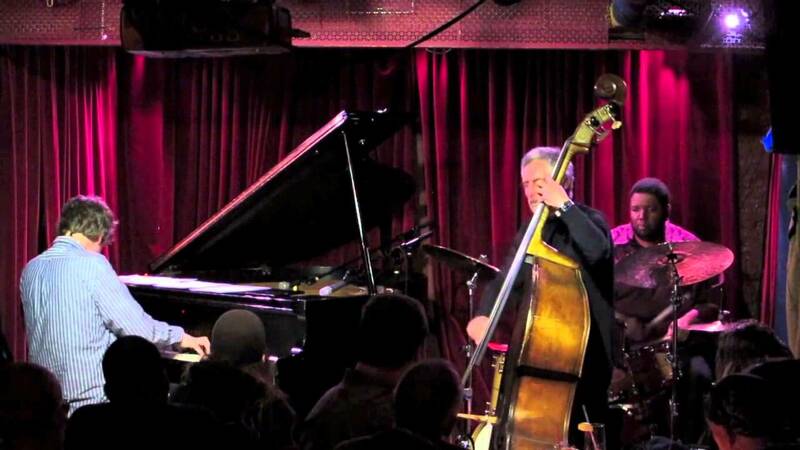 The pianist, composer, clinical professor of psychiatry, turned 80 in April of this year and just this past week (5/02-5/05), he, bassist Buster Williams, and drummer Matt Wilson performed at Mezzrow in New York City. That trio has been together since the early 2000s, recording three albums and doing the occasional tour. 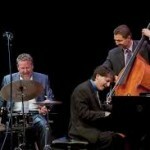 Like the best trios, it's a group of equals: yes, the rhythm section takes its cues from the leader/pianist but their familiarity allows to give as good as they get. Because of that trust, musicality, and willingness to go were inspiration takes them, the music they create is such a joy to listen to. 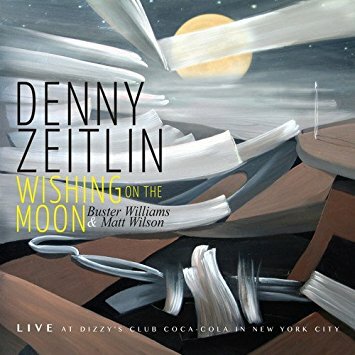 The trio's latest sonic adventure, "Wishing On The Moon: Live at Dizzy's Club Coca Cola in New York City" (Sunnyside Records), was recorded in March of 2009 yet sounds fresh and is quite delicious. The 11-song program is a mix of standards and originals plus a fascinating take on "Put Your Little Foot Right Out", a child's nursery rhyme/traditional folk dance tune that inspired "The Hokey Pokey." This performance is neither hokey or pokey but a wonderful adventure in melody and improvisation. Even when the music is up-tempo, the trio makes sure to introduce melody, listening to each other, and pushing (sometimes gently, other times with forcefully) each other to move the music forward. On pieces such as the title track (a Zeitlin original), listening to Williams's fine counterpoint and Wilson's sparkling brush work under the articulate piano solo is a real treat. The centerpiece of the recording is the four-part "Slickrock" (the title of this trio's first album on the MaxJazz label) - inspired by composer Zeitlin's mountain-biking trips to Moab, Utah, the music opens with "Dawn; Gathering", a rubato piece features noisy percussion, bowed bass, and "serious" piano chords before the pianist introduces a shimmering melody (even strumming the piano strings) before exploding into "On The Trial" (not the Ferde Grofe piece), an exciting romp powered by the flying bass lines and snappy drumming. "Recovery" sounds as if the bicyclist has slid off the path, with fiery drumming, throbbing bass, and skittish piano lines. Wilson's martial snare drum gives Zeitlin the opportunity to create a wide-ranging piano solo. The music calms down before before the final section, "On The Trail Again", when the trio moves back into high gear, powered by a thunderous drum solo that leads to a rousing climax. If you are a fan of these musicians, you will devour this music. Classy, melodic, rhythmical, often stunning, and great fun, "Wishing On The Moon" will make you wish you were in the audience as well as go back ands listen to the other albums by Denny Zeitlin, Buster Williams, and Matt Wilson - I know I did! (I'll post a track as soon as one is available). Again, familiarity breeds excellent results. Hamilton's "Sybille's Day" opens the album on quite the swinging note. It's a bluesy shuffle powered by the thick bass lines and dancing drums. That cushion allows the pianist to really dig in and produce quite the exciting solo. There are no surprises in the Trio's take of Ahmad Jamal's classic "Poinciana" - yet the loping beat, the circular bass line, and the recognizable piano melody is pleasantly comforting. Luty's elastic bass lines and Hamilton's drums do conjure up Jamal's classy rhythm section of Israel Crosby (b) and Vernel Fournier (d). 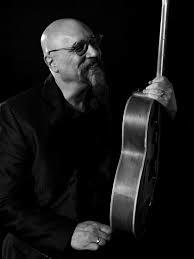 It's so easy to get lost in the rhythm section that you miss the splendid playing of Hendelman. The temptation to press "repeat" is hard to resist. Several pieces emphasize Hamilton's fine work with brushes. Robert's "Hammer Tones" and Clayton's "Brush This", with the former being a jaunty showcase for how the ensemble can play a joyful blues and the latter a a sweet re-arrangement of a classy tune from the Clayton-Hamilton Jazz Orchestra repertoire. The other Clayton contribution is also an uptempo blues shuffle. Hendelman really digs in for a funky solo while his partners really provide the propulsion (dig the great cymbal work). Hamilton's dancing brushes lead the trio into a samba-soaked performance of "Gary, Indiana" (from "The Music Man") while the brushes create a softer environment on the lovely "I Have Dreamed" (from "The King and I"), the one ballad on the program. Pay close attention on the slow song to the melodic counterpoint Luty creates as well as the soulful musings of the pianist. "Live From San Pedro" is a flat-out treat from beginning to end. Three talented musicians who absolutely do not rest on their laurels create a program that is filled with swinging rhythms, splendid solos, and a joie de vivre that is impossible to resist. The Jeff Hamilton Trio shines brightly: like the Denny Zeitlin album above, one imagines it would have been great to have a front-row seat for this playful and play-filled set. 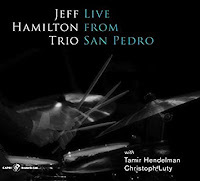 For more information, go to hamiltonjazz.com/artist-category/jeff-hamilton-trio/. 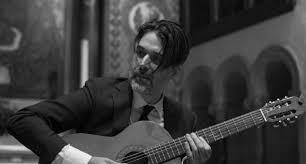 Acoustic guitarist and composer Adam Tully first studied tango music in 1995 Buenos Aires, Argentina, with tango guitarist master Anibal Arias. Since then, he performed as a soloist on stages throughout the United States. He has also worked alongside \numerous artists and groups in the U. S. and Latin America, playing with The Zvi Midgal (a group that takes its name from famous Polish prostitution ring that also sent women to Argentina) and Importango (a piano, guitar, and violin trio that was based in Brooklyn). 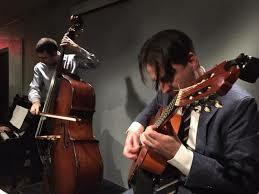 Tully can play Baroque guitar, Latin American music, and flamenco but has found a home playing and composing tangos. 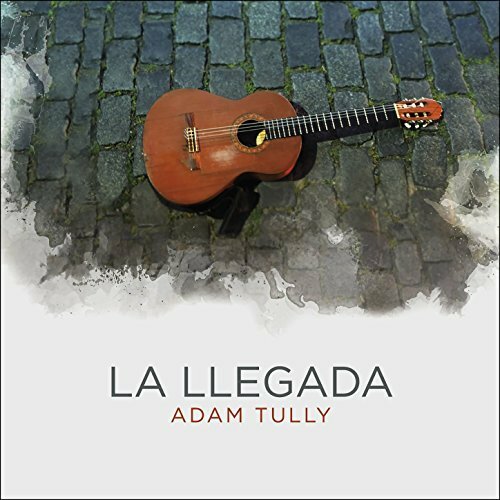 His debut album as a leader, "La Llegda" ("The Arrival") has just been issued by the Argentinean label Epsa Music: The 11-song program features Tully's guitar alongside the articulate bass work of Pedro Giraudo and the emotionally rich piano of Emilio Teubal. There are several moments when this music is reminiscent of the work of Astor Piazzolla as well as Ralph Towner. Tully's "Vals Mio" opens the album. The lovely melody is complemented by the subtle bass work (note Giraudo's counterpoint) and stately piano lines. The delicate piano and guitar interactions on Teubal's "Cumbio de Rumbo" are dramatic to be sure but also quite melodic. The grandeur of "Don Andrés" also has a playful side. Again, the brilliant bass counterpoint stands out alongside both the guitar and piano. When the guitarist leads the bass ands piano into the delightful "Andanzas", it's hard not to get up and dance. Yet, the piece can be as delicate as a spring breeze and powerful as a clap of thunder. Tully goes it alone on "Doce", a lovely tune from contemporary Argentinean composer Fernando Otero. The blend of various melody and chords move like lines of poetry and Tully's use of silence gives such gravitas to the music. For the final track, "Lluvosia", Felipe Traine adds the voice of his guitarrón (an deep-bodied six-string acoustic bass) to Tully's guitar. They create quite a mysterious sound; it is fascinating to hear how they wrap their guitar lines around each other and how the lower guitar creates such a fine counterpoint to the higher sound. "La Llegada" is quite an attractive album with music that reaches into your mind and soul. At times joyous, other times melancholy, Adam Tully has created music that reflects and respects the past while illustrating how a trio can also be forward-looking. The interplay of Tully with Emilio Teubal and Pedro Giraudo (his bowed bass throughout is quite attractive) is so impressive. Sit down with this album and enjoy the journey. For more information, go to www.adamtully.com.